Not only have the recipes been consistently delicious, but I also make them more frequently than the fancier options in Isa Does It or the fruitier ones in Salad Samurai. Savoury porridge and the nutty granola are two regulars on our breakfast table. The granola is nice and easy to make (as long as you can work out your oven settings – our new oven is a bit of a mystery still), and has a lovely combination of oats, nuts and seeds. 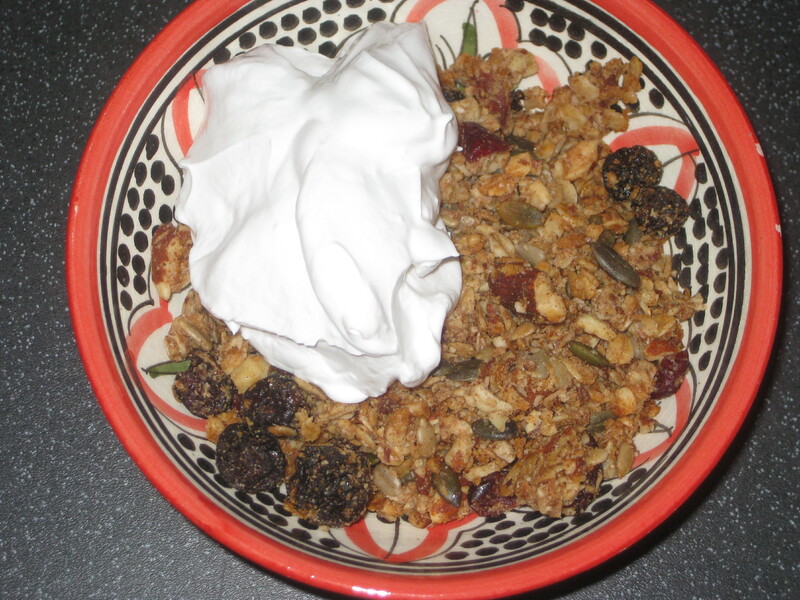 I always make it with cranberries and usually serve it with good fruity yoghurt. 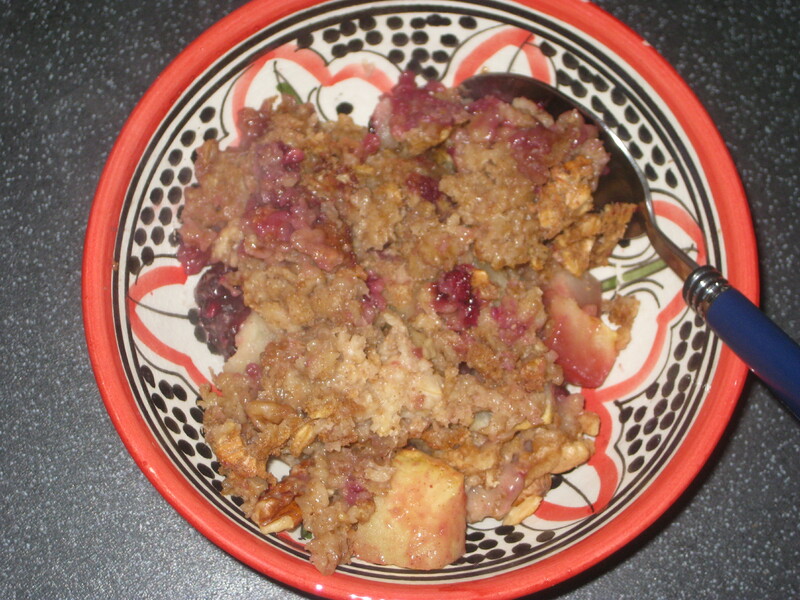 I’ve only had this baked apple oatmeal once, but it was almost like a dessert for breakfast – and I’m always in favour of that! The breakfast scramble will never be as good as Dr HH’s scramble, of course, but this is a really nice combination, and lighter than the usual Full English. It was also my first encounter with avocado on toast, which, as most vegans know, is amazing. 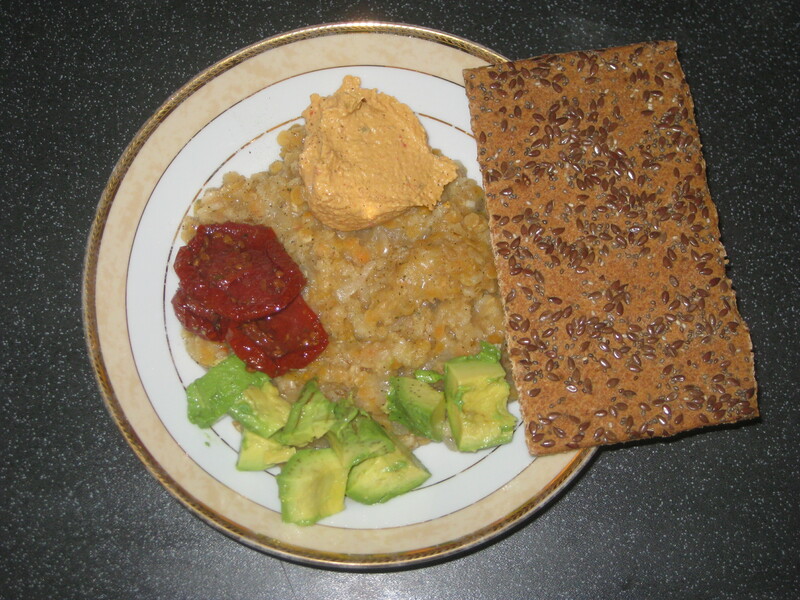 And avocado makes another appearance in the savoury porridge, which I also make quite frequently. This is a great, fast, savoury breakfast. The real challenge is finding a suitable cracker: the crunchier, the better. So far I haven’t found anything in Prague to rival the beauty in the photo, which I used to get from Eighth Day in Manchester. I’ve finally got myself a copy of Vegan Brunch, so I’m hoping to branch out into the world of omelettes and baked goods as well soon and make breakfast even more exciting. Any other breakfast cookbooks to recommend? This entry was posted in Cookbooks, Vegan Mofo and tagged Oh She Glows breakfast, vegan breakfast, vegan cookbooks, vegan mofo. Bookmark the permalink. “American Vegan Kitchen” is one of our favorite books, and it has a huge breakfast section! “Vegan Diner” has a great breakfast section, too. Pretty much all of Celine Steen’s & Tamasin Noyes’s books have good breakfast sections. Excellent, I downloaded Vegan Diner recently but haven’t had a proper look at it yet. I’ll see what it has to offer! Vegan Brunch is fab and there’s some good breakfast stuff in Vegan With A Vengeance too. I’ve got two of the books you mentioned but not Oh She glows and it’s definitely another one I’m adding to my Christmas list. I made the Mexican Chocolate overnight oats from Salad Samurai on your recommendation so thanks for that, so tasty! We have those Mexican chocolate oats all the time as well, they’re so good! Glad you like them too. I have Vegan with a Vengeance, but haven’t really used it much. I’ll start browsing the breakfast section for ideas! It’s Caroline at Tea and Sympatico btw in the comment above not Matt Hill. I’d not realised I was no Matt’s log in! 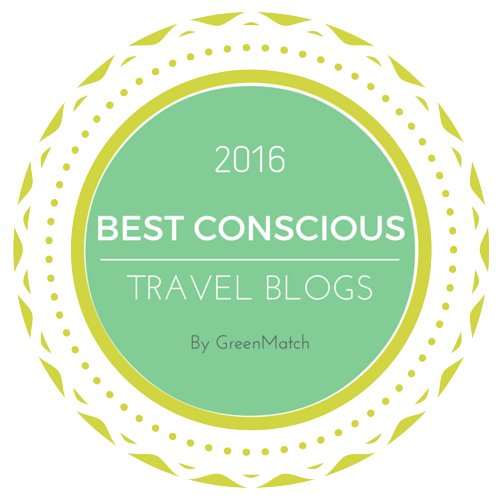 I was surprised to see a non-vegan blog there! I also love the breakfast recipes in Oh She Glows!!! I love those baked oatmeal recipes especially. I still haven’t tried the breakfasts from Salad Samurai, but I’ve had my eye on them for a while now. 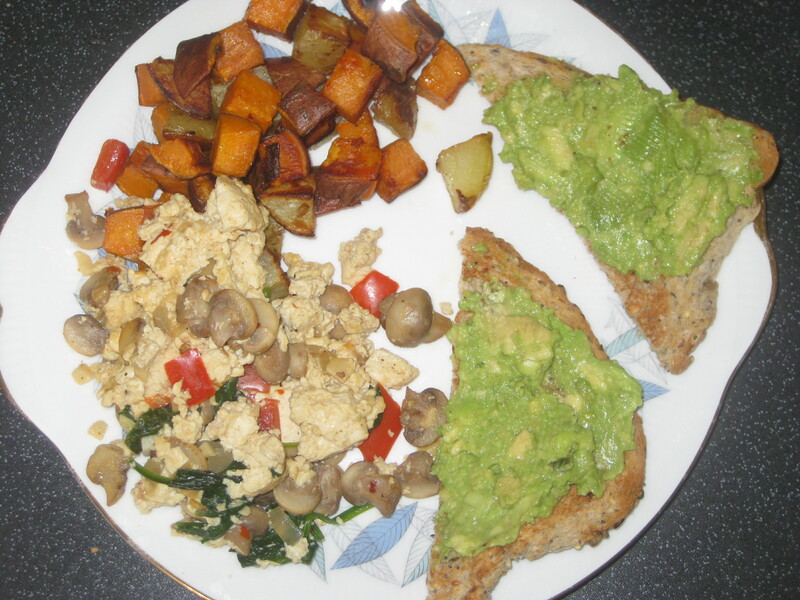 You will love Vegan Brunch – it is such an exceptional book!! I’m looking forward to trying an omelette first of all!